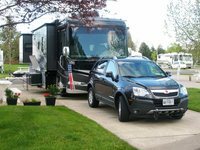 Tree-lined streets and soft grassy knolls are just part of the appeal of Olde Stone Village, McMinnville Oregon's premier recreational vehicle park and community. Tucked into the rolling landscape of Yamhill County, the park offers easy access to highways, as well as McMinnville's shops, restaurants, scenic vineyards, historic attractions and roadside produce stands stocked with your seasonal favorites. 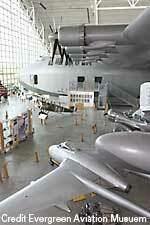 Olde Stone Village is immediately adjacent to the Evergreen Aviation and Space Museum, home of the world famous "Spruce Goose" and Evergreen's aviation-themed IMAX Theater. Located in the heart of Willamette Valley's wine country, midway between the coast and Portland and 30 miles from the capital city of Salem, McMinnville is a wonderful place to live and visit. With green rolling hills as the backdrop, this historic city has kept its turn-of-the century charm while providing full services for 33,000 residents. McMinnville is known as having "The best downtown main street in Oregon." So far, I agree, very charming. With the beauty and charm of the Valley, McMinnville and the quality of Olde Stone Village, We would come back in an instant.